Re the opening ponder of defining Naturalistic, if I were to define it in my mind, it would mean a captive environment that includes or has as its primary focus, an organism in relationship to its surroundings. Any thoughts on this to further explore? Tangents A-OK .. they add dimension! Kfen wrote: You can certainly provide proper environmental conditions and a variety of tactile, beneficial, and naturally similar cage furniture without looking or being "natural" at all. This is a telling point - there are different goals - in a Nature Museum featuring local fauna using native plant, branch or locally recognizable topography feature improves the quality of an exhibit if a curator has that purist ideal. Its like the structures put in an enclosure have to count in the boundaries of the space. A wooden ladder meant for conures for example may enable more physical diversity to occasionally climbing small snakes in a particular enclosure dimension than a couple of grapevines or slanted sticks. Appropriated structures that aren't "natural" but "hit the spot" can also lend more measurement precision in investigation goals. Mostly I wanted to offer this idea to simus: what about hydroponic-type plant culture? I'm working on a set of builds right now that - unlike my previous builds - have non-draining plant-substrate reservoirs (tall plastic jugs, basically) built into the foam, the latter being coated in epoxy (but the plastic jugs save me the expense & hassle of epoxying large voids in foam - I'll just "lip it over" to ensure no leaking between the foam and external side of the jugs). I plan to use fully-submerged LECA pellets as substrate in these countersunk jugs, to hold up Dracaena, Pothos, wandering jew, African evergreen etc - your standard bulletproof houseplants. Next, an update. The idea has largely proved out - it works. Or it can work, easily. There are a couple ways to have it fail: 1) with very watery- or pithy-stemmed plants, including ones that seem a bit "succulent" (like the Wandering Jew plants), and 2) with active larger-bodied animals. The best plants have more woody or at least wiry stems (e.g., the Aglaonema). The fails wind up with stink rotting plants. A couple of keeper-useful things I've learned - 1) it helps keep the water aerated AND the air humidified, to stick an airstone at the bottom of your LECA vessel, and 2) you don't need to keep the water topped off (i.e., the LECA fully-submerged), indeed it is often better (for plant survival and vigor) to let the plant pump all or much of the water out, and then refill part or all the way to the top. The interstitial spaces in the LECA seem to maintain adequate substrate humidity for fine-root survival during the dewatered phases. I'm not sure if these are soil roots or water roots - whatever the case, they seem to thrive. Plant growth, color, erectness etc are all pretty awesome. I'm so stoked about this that I've actually torn down some of my old builds and plugged up the plant drains. I've replaced the free-draining soil media with closed LECA systems, and slapped the old plants right back where they were, after washing all the soil off their roots. I actually think this would be a great way to keep things like Hoyas, Christmas cactus, and other epiphytes too. Just don't ever fill up the water - keep it low and even let it dry out now and then. And of course, provide for cool dry winters. This will be my next frontier. Anyway, I like this as a way to maintain high relative humidity, while at the same time enabling excellent ventilation: the holy grail for some captives. The only downside is the exceptionally un-naturalistic presence of air hoses running down into the planting chambers. I've got a couple bullds going where I pass the hoses into the enclosure space through the back wall right above the top of the buried vessel, so I can cover (hide) them with moss or wood chips ("medium orchid bark"-sized). No hoses dropping in from the sky. I also really like that fungus gnats are just eliminated with this system. Typically they're only a problem if you overwater, or in the early days of a terrarium, but still. I hate the damn things. Nice - great detail on the plants - i am no where as well versed but just a dabbler, using pothos and random bromeliads, more or less appropriating the houseplants i have around or have been given. Ive had some accidental luck with semi aquatic mosses, actually there is some i would like an ID i have growing in my spotted tank. Its starting to creep up the filter casing. I really want it to continue and cover it plush , but i think i need to rough the plastic up with a wire brush to help. I second the usefulness of airstones - I put them in receptacles with stones and they create a fan of drops on the wall to be licked. With grotto (coral "fossil") they can often be tucked away in a hole or inlet so that they bubble attractively with the stone out of sight, but often i just secured it for the action purpose. I have only used my miniaturized and much plainer (unplanted) version as a utiliarian 'infuser' to create a nice spot of moist air and droplet sheet for geckos and frogs though, worried that submerged plant material would/might/could manifest a hay infusion effect that possibly could culture protozoic life i would be uncomfortable having some reptiles, especially snakes, get to and drink. I like plants, and would get into them more if there were more hours in the day. Now that I only care for my own animals I have more pleasure in working on my environments, whereas at work, with time constraints and chaos constant it was like speed chess - kind of like Extreme Keeping. Also have you noticed the airstones are weaker now - more prone to crumbling. We should make our own! Hey I just remembered something - those commercial drippers, basically a plastic gallon jug and a valve - they come with a small length of deep green colored polyvinyl tubing, some times black, but I definitely remember the green as well. If you could find a bulk spool of that it would integrate much nicer in your planted vivs than the clear. I didnt much care, but over time the deposit build up in the hose is an eyesore. Its gotta be around somewhere. Green tubing in a spool. Some plastics co.
Just wanted to give this threat a bump and an update. That closed-system LECA thing I mentioned earlier turns out to work GREAT. For the most part, anyway. I have some plants with an airstone, and some without. If you keep the water really low - almost dry - the airstone seems to add nothing but ambient humidity (great, if you need that). If you want to keep the water deeper, which some plants can take and some die from, the airstone seems to help quite a bit with plant vigor. Anything succulent seems to do well with nearly-dry LECA (just a little water in the bottom so it wicks up a bit). The "bulletproof lush-tropical houseplants" seem to do well at most any water level. I have so far rotted a few things with too much water - Aloe ciliarus for example. But the same species does fabulously with nearly-dry LECA. Ditto Sanseveria - amazing growth rates of small vegetative propagules, vastly quicker than sand or soil. I'm starting stuff in baby-food jars so I can watch root growth. I am now thinking LECA would probably work killer for brom pups. And clumping palms. That's probably what I'll try next, I have some lady palm pups I need to cleave off. Those are sweet in a terrarium. Human beings are so visually oriented that we forget that other animals dont perceive or utilize beauty. We look at a plant or an arrangement of rock and we perceive it as attractive and in husbandry discussions that somehow butterflies into a contrast of goals, but a snake - even a well sighted species is by necessity a surface oriented organism. Surfaces have a myriad of features that constantly provide input. Scent, balance correctives (we all operate bodies to gravity in a constantly changing state of small correctives - think of riding a bike as a litmus) The scale is more diverse and intimate to an organism to which surfaces are its primary informant. 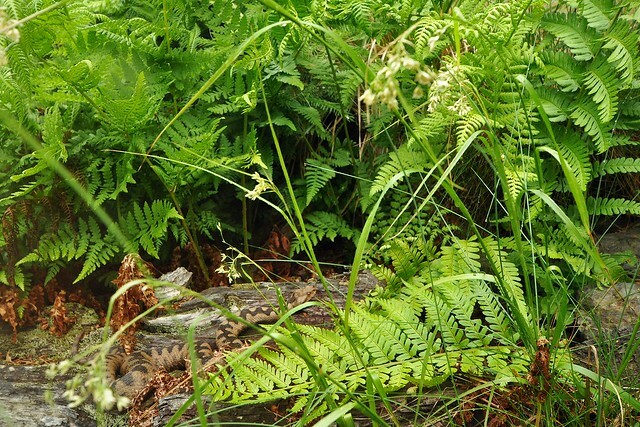 Habitat is beautiful to the human eye, but to a snake habitat is a dimensional matrix of Surfaces. To field herpers looking for snakes, it is too. 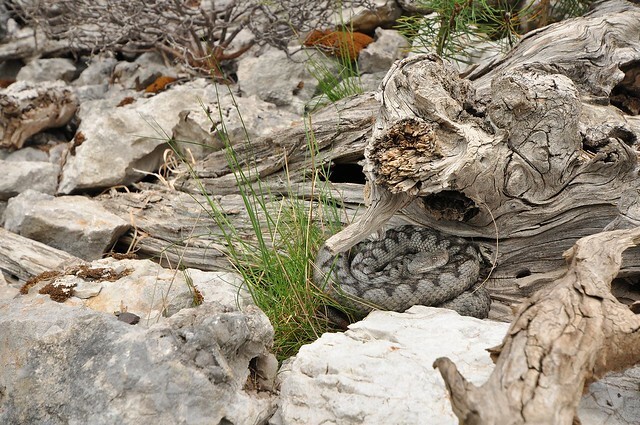 To clarify the above, living plants strike our eye as beautiful, cork bark and rock look beautiful but it is so often assumed that they are being used as decorative and trivialized in merit but when strategically applied, they are not gratuitous but fortify the space with utilized features. I have not used living plants as much as I would like, but when I have I notice that when they are thriving so are the inhabitants, which in my cases were small frogs and day gecko species mostly. WOW.... what a load. I am a human being and not as "visually oriented" in the same way as any other human being. What I see as beautiful others walk past, or see as ugliness. All we can do as keepers is to try keep our animals as healthy as possible. Maybe I am a minimalist or too simplistic but trying to make captives live in what we believe to be "naturalistic" could in fact be harmful. I don't know how my captives would see their natural environment. These animals move from micro-habitat to micro-habitat. How could we hope to understand their perceptions or assume their point of view. My goal is healthy and that is all. The term naturalistic as initially brought up as a term commonly used, was up for re definition in my frame of reference, as I stated in the opening of the thread. You are not interested in the same things I am, and no offense but I am not interested in trying to explain them to you. Its more fun to know there are people who like this kind of exploration in herpetoculture and that perhaps it strikes a note with them and their experiences. Jimi I went to this hardware/variety store in my neighborhood and the huge inventory of different shaped receptacles made me think of LECA. I have some questions, if Im on the right track, for it to be as easily climbed out of as it is to get in ( I would be using it for some very small toads stelzneri. They seem to like hiding in the bases and furls of leaves as much as their little ground cubbies. It also seems like that would be a magnet attraction for many small lizards to lay eggs in such a structure - phelsuma speaking of, nice to have a dependable attractant for moms. I like the nice blend of portability - in my loose forays with plants overgrowing root systems kind of dictated things in smaller planted tanks for little guys. Slope habitat is something interesting in design, really easy to apply on a small scale and on anything larger than the tanks or wooden enclosures Ive had to work with I am thinking the Polygem material that Jimi has used would be the thing to do. I hung out with my old boss the other night in the shop and kind of "re-looked" at some aquarium artifacts that I think are the same/similiar stuff, picked it up - it was Light very light, and strong. I think one could commit to a slope design without drawbacks. It allows lighting to position its exposure perfectly - and animals in the space are using their bodies in a way that activates more exertion in what is always a limited space when enclosed. The passive of navigating down slope topography is also something not available in most flat floor-with-artifact set up. And more limitless, even if it looks simpler. I use alot of sub, but piling it up on one side isnt really the best way to try to create the slope, Ive found. Ive found it works better for what I have, to position some solid mass in there, which I do with cork. Most slope features in biome are not going to be a loose pile of uniform particulate. It seems to stimulate activity, and nice, viewable repose periods and get certain husbandry features keyed in well. Under the sub of the slope, around, beside, within the buried cork pieces form compartments like whole separate environment for the snakes. You can also form easy-to-clean compartments in your backgrounds by using expanding foam to partially encapsulate cut-away plastic containers. I imagine glass jars with large openings could work just as well. On a sloping or vertical background you can have (e.g.) pendant plants cascading over the aperture to such a cut-away. This provides excellent security for the animal but easy access for the keeper (just make that cutaway big enough to get a fist or couple of fingers into - however you mean to do the cleaning). And with the right plant, it's not hard on the plant either - just hold it aside for a quick look at the animal, or to get in there and do whatever needs doing. Then when you let go of the plant it just swishes back into place as the privacy curtain over the front of the compartment. You can put whatever substrate - or none I suppose - in the compartment that would serve the needs of the inhabitant. A humid hide for pre-ecdysis, a dry hide, a hide with burrowable substrate, whatever the animal needs. Loose piles of substrate tend to become flat piles of packed substrate. You need some rigid structure if you want to go up from the flatlands. Really a great topic and I totally enjoy that it brings up so many opinions. I agree with you, there can't be absolute statemants about this topic as "natural/naturalistic" means something different to everybody. Also one should not forget that the implementation of our "dream-enclosures" are limited by our housing (space, temperatures,...). I really appreciated to read that lots of you guys think "naturalistic" goes further than just looking neat, that's a bad prejudice. Although I don't like these rack/drawer-systems, I'd say that you are able to provide a propper environment for certain species or hatchlings. But things start before we start to build up our set ups. 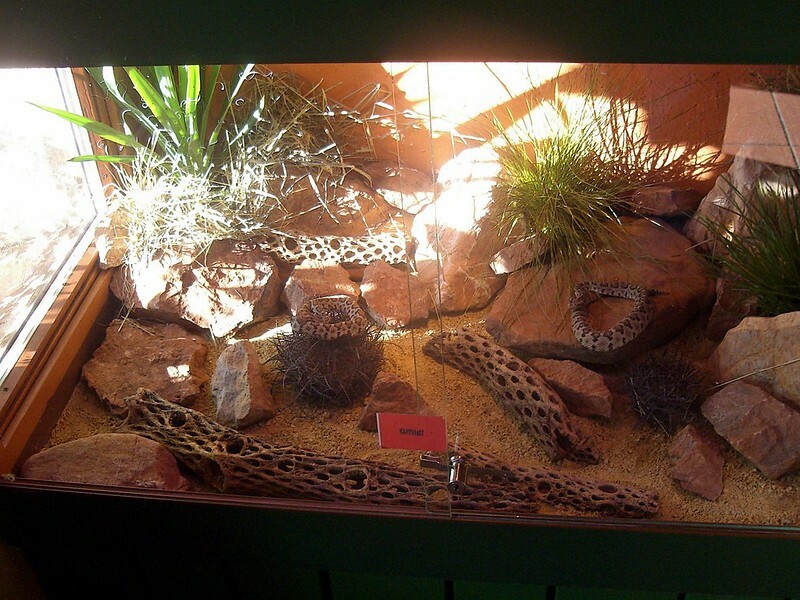 We should think about why we want to keep a snake or lizard in our terrarium? As a result every person has a different motivation to keep animals and view in how his enclosure(s) should look like. So a 10cm high box might be ok for Cerastes vipera (very small, ground-living ambush predator) but not for an aboreal pit viper which enjoy to eat with the food hanging down. So I do what I can at home and my dreams come true when I'm at the zoo I'm frequently visiting. In the middle of natur there is a lot of material to make great set ups. The absolut perfection of keeping animals in a natural way, in my opinion, is an outdoor enclosure. I'm gonna guess the shot with the pine cone is the one in true nature, the others are all nice outdoor enclosures. Sure, "naturalistic" can be overdone - or just done wrong - and thus bad. It also can be underdone. I think of the naturalistic impulse as being an effort to correct perceived under-doing. And sure, if it pleases the keeper more - why not? Honestly, I have tried the lab style (small tubs in racks) of snake keeping. Never again. I find I tire of the animals - and the chores required to keep them - that way. Well-designed, typically larger-than-tubs naturalistic enclosures keep the interest up and the chore-boredom down (they can also just reduce the chores, period - it's way more work to keep a clean lab-type setup than a clean naturalistic setup). I also think they are healthier, the way I do them. It's just way, way easier - for me, anyway - to offer gradients of light intensity, temperature, humidity, and air flow in a purpose-built naturalistic enclosure, than in a lab setup. The way I got into naturalistic was by first focusing on better enclosures - first modifying purchased enclosures, then building my own, so there was better ventilation, lighting, heat gradients provided via the appropriate heat-transfer mechanism, etc. Then in keeping tree vipers I discovered the humidity-buffering benefits of live plants, plus the fact that my animals preferred drinking off leaves anyway. Then it was a slippery slope into deeper substrates, drainage layers and bulkheads, live inverts to help with waste processing, etc etc. To me, "healthy" includes mental health. So I'm big on trying to provide a stress-free environment, with some opportunities to move around, stretch out, and use the body in all the ways a body would be used in nature - perching, climbing, digging, soaking, whatever. I don't so much hope to understand their perceptions, as to fill their needs. Some "hard knowledge", and some "soft empathy", are both required. Watching the caged animals from a tolerable distance and for fairly long bouts (just try sitting in your herp room a half-hour or so) can offer insights and drive constructive innovations. Also, visiting the species you keep, in their natural habitats, offers plenty of chances to imagine how they "see" their environment: "this is a good place to bask, this is a good place to digest, this is a good place to sit through a pre-shed period" etc etc. Then go home and try to provide all those in the cage. Some space helps, and some height. Imposing stuff the animal does not need or want could be harmful, if it stresses them out or it causes you to need to be in there messing around too much, also stressing them out. Offering "environmental enrichment opportunities" while failing to imagine and mitigate physical risks would be harmful - providing opportunities for death by drowning, ingesting foreign objects, entanglement, suspension, etc. If they can hurt themselves, they probably will, so don't let that happen. I dont want to go on too much (:shock:) but I really do find so much in what has been posted today by Markus and Jimi exciting, its exciting to really explore and pull out details of a topic that has alot of belief oriented brush strokes to it. I notice - and ok im not knocking handling - just making an observation that the less snakes are pulled out, and/or bothered no matter how deep and cavernous the 'hidden' areas are, the more they come out of their own accord. A snake resting .. stretched out along an artifact near an opening to a hide spot is a beautiful thing to see. Jimi wrote: Then in keeping tree vipers I discovered the humidity-buffering benefits of live plants, plus the fact that my animals preferred drinking off leaves anyway. Then it was a slippery slope into deeper substrates, drainage layers and bulkheads, live inverts to help with waste processing, etc etc. With the mental health, I'd also say that the snake doesn't care if there is a tree/branch in the cage or a similar instalation made out of plastic (probaply easier to get a piece of wood than a synthetic tree). As another example a sandboa won't mind if it's burried in sand or plastic granulate if you want to keep it sterile. That's why I mentioned the "curtain" for a sterile arboreal snake enclosure, to give it cover in the "tree" and to drink from it, as you really have to fullfill all the needs of your animals. Jimi wrote: Imposing stuff the animal does not need or want could be harmful, if it stresses them out or it causes you to need to be in there messing around too much, also stressing them out. Offering "environmental enrichment opportunities" while failing to imagine and mitigate physical risks would be harmful - providing opportunities for death by drowning, ingesting foreign objects, entanglement, suspension, etc. If they can hurt themselves, they probably will, so don't let that happen. Additionally, with plants you have a great indicator for the climate and lighting in your enclosure. Kelly Mc wrote: notice - and ok im not knocking handling - just making an observation that the less snakes are pulled out, and/or bothered no matter how deep and cavernous the 'hidden' areas are, the more they come out of their own accord. Do you also see this in your Lampropeltis? Because I've recognized this as a very individual (sometimes seasonal) thing and depends a bit on the species. Small colubrids like the Lampropeltis zonata or Zamenis situla at the zoo are pretty shy, but the larger Elaphe quatuorlineata is lying next to its "cave". One of the samar cobras comes out regulary whereas the others live more hidden. 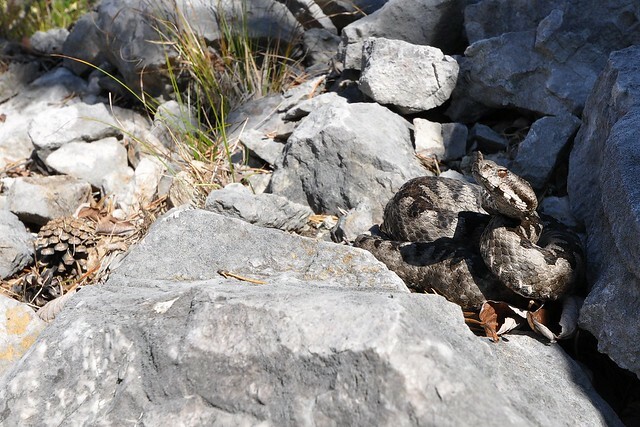 The Crotalus viridis start rattling when people come to close to the glass if that doesn't help the move back between some branches and hide, but Crotalus durissus stays on its spot even when you poke them with the hook to move them, they just push back the hook with an enormous power. 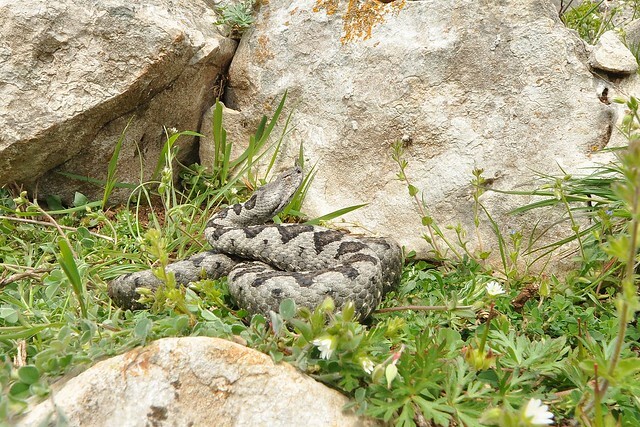 As an example for the seasonal aspect, friends of mine were taking pictures of common adders in spring and caught the perfect day with finding a big bunch of them mating. They picked out a male and put it seperatly to take some pictures, sure he wanted to bugger off but relaxed and stayed after a few minutes so they could take some pictures. Afterwards they put him back to the other snakes and as he realises that he was surrounded by the other vipers again, he started to quiver immediately, went on looking for a female and shows absolutely no interest in the people standing next to him. general observation in most colubrids, not so much in boas, pythons, that i personally think are rarely kept on scale in appropriate spatial dimension, or in enriched situ. Its not a small detail that you share; about rocks being well seated. Branches too. Nothing leaned. Nothing rolling around in a closed space. Interesting! Any other conection in the snakes showing this behaviour, like all adults, bigger specimens or individuals of a certain genus? Or do you observe this in youngesters aswell as in adults from different species? Kelly Mc wrote: Its not a small detail that you share; about rocks being well seated. Branches too. Nothing leaned. Nothing rolling around in a closed space. That repose behavior presented with long term (5yrs+ in encl) adults. Yearlings I have had that were inadvertent residents/holdovers used to just being fed and moved briefly.. Pretty much all the snakes I liked that I made into display animals over the years. Feedback from clients I set up that were thinking of relinquishing a snake that they or a child had lost interest in. I had created a niche demographic of people who started to see their snake in a different way, in regards to getting them more involved with the snakes environment than with thinking of them as a pet to be handled as dominant motive. This involved Ball Pythons as well, that I set up differently than the usual plan. Some of my display snakes like my Pit and my Blue Beauty were spunky and fun, they kept an inherent Spark, even though they were CB. But were confidant baskers and utilizers of their enclosure features. I think - and I say this carefully, that snakes may not be experiencing being handled the same way we assume they are, and that even if it doesnt stress them out, it resets something neurologically that causes them to hide more. I think this is because they are a prey item for many other animals. I also think that regular activity outside their environment without being pulled out is a simple learned experience of security non threatened. This is a pretty general effect among many animals in captivity though. I also give my snakes UVB which they seem to want to access at certain times. I love the enyo enclosure. It is wonderful. When I look at a snake I dont see a semi inert being. Even in pauses I see a wakeful stillness that a rapidly flicking tongue tells me that input is happening. I see them as acutely tuned and if I am to err I will err on the side of being courteous to that acuity. I really like talking to you. I love the way you keep snakes.